The Luxembourg Peace Prize was initiated in 2012 to award outstanding peacemakers. It is since then awarded to Laureates from around the world that have made an outstanding contribution to world peace. The categories of the Luxembourg Peace Prize and their celebration amplify the aims and goals of the World Peace Forum. 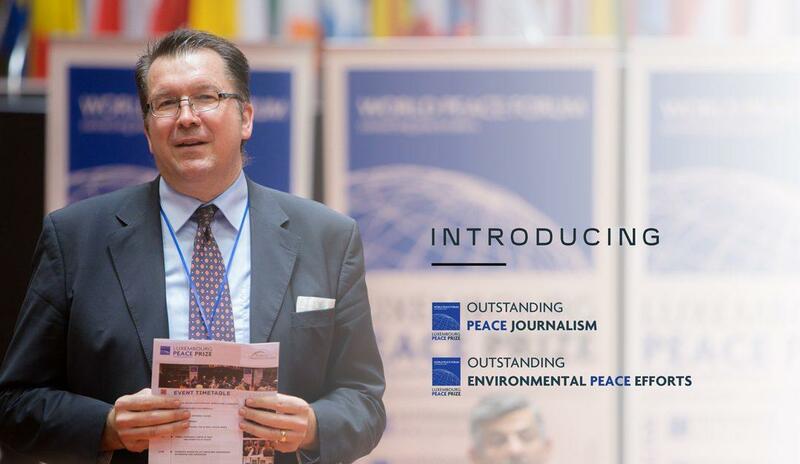 This year (2017), June the 30th, the 6th Luxembourg Peace Prize will introduce two additional prize categories: Outstanding Peace Journalism and Outstanding Environmental Peace Efforts. The award ceremony will take place, for the third consecutive year, in the Robert Schuman Building (2 Place de l’Europe, Luxembourg City, Kirchberg).